Officially licensed, fully functional Mercedes Benz electric Ride-on car replica. Fun, fast and powerful, the Mercedes-Benz GLA is one of the most popular compact SUVs on the market. 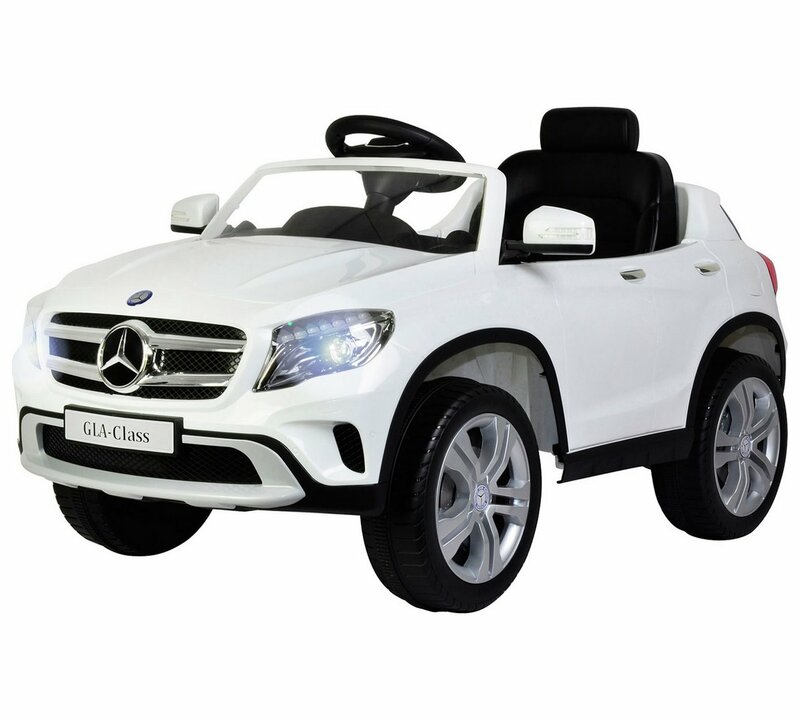 This official electric Mercedes toy car ride-on brings these qualities to one of the most realistic car toys ever made. The soft-top design feels just like the real thing, with an adjustable single seat and opening doors, as well as a dashboard full of amazing features. There’s a 3 speed driving pedal, complete with a reverse setting, so children can practise their parking and 3-point turns as well as racing! This ride-on also sounds like a Mercedes, with a realistic start button creating engine sounds for a true to life driving experience. There’s even a dashboard MP3 connection for playing your child’s favourite tunes while they drive!